Ric Flair is trying to bring a solution to a major problem in society. 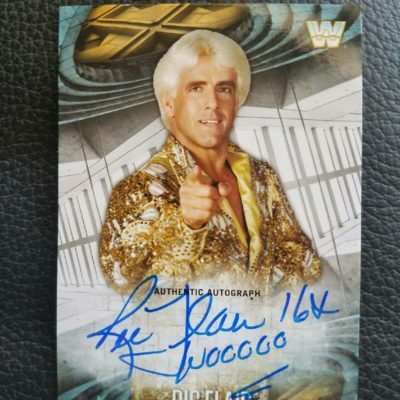 With this signed sealed and delivered compromise by the Nature Boy RIc Flair himself, he is bringing awareness to a problem and showing that fun and responsibility go hand-in-hand. 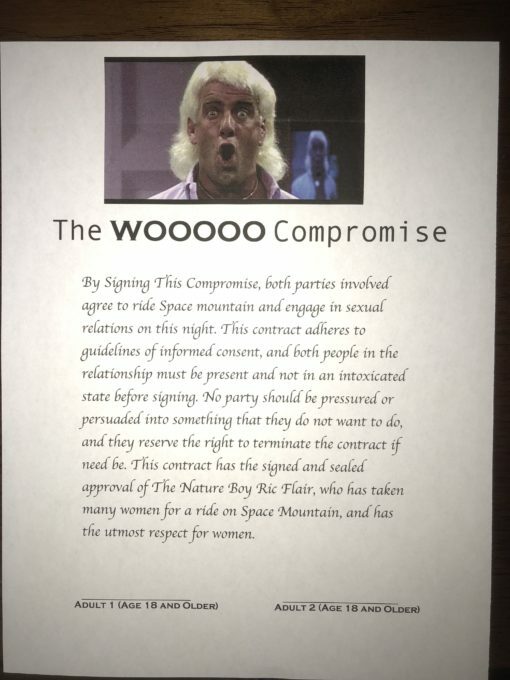 The Wooooo compromise is all about taking the ride of your life as long as their are two consenting adults. Get your signed compromise today!